New Year's really snuck up on me this year. My break from work was the usual two weeks but it went so quickly. I really only had 2 days of staying in my pajamas all day. Which is not to say that break wasn't awesome, it was. It was just more blowing and going that I expected. New Year's is a time of renewal. You're turning the page on the calendar and you want to start fresh. In my mind, I picture the year as a long, large wall calendar. December is at the very bottom. When New Year's hits you climb all the way to the top for January. I'm excited to start at the top of the calendar again. Growing up our next door neighbors were a sweet older couple, the Cades. Mrs. Cade would always say, "Any day above ground is a good day." She was such a sweet lady. She always made sure I had Blue Bell Vanilla ice cream on my birthday. I'm excited to see what GOD has in store for me this year. He's called me to some new things and I'm excited to see the doors that He's going to open. This also causes me some stress. Waiting stresses me out. I don't mind lines as long as I can see the end and it's moving. But when GOD calls us to something it's not always immediate. It can feel like standing in a line that's not moving. Sometimes it feels like standing in a line that's not only not moving but all the windows at the end of the line a closed - there's no hope of moving. That can be a dangerous feeling. I want to jump start the line - take charge and get things going. I have to be careful here. I have to listen for GOD and look for Him first. I have to make sure my actions are what He wants and not me forging ahead. And that is hard - so, so, so hard - for an action oriented person like me. The only way I know to wait effectively is to pray. I have to ask GOD, "Is this right? Is this what you want?" 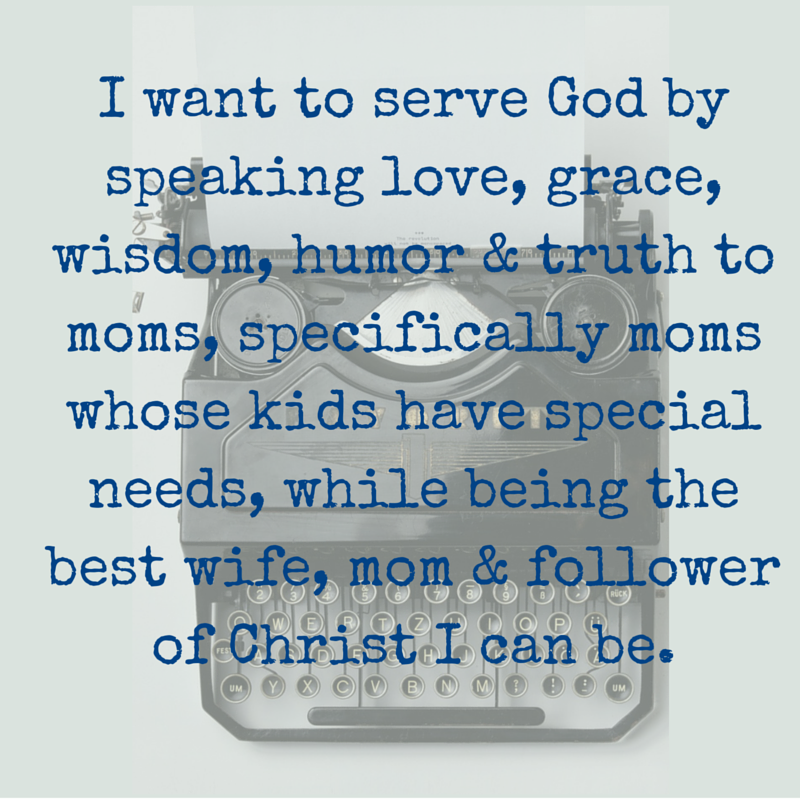 I also have to say, "Lead me, LORD. Keep me in Your will." 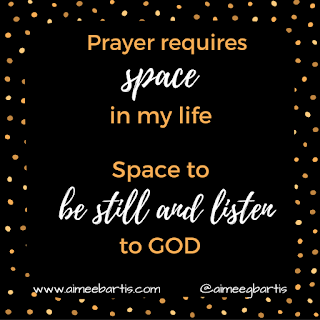 Pray requires white space in my life. I have to stop and be still. I have to focus. Again, this is so, so, so hard. My mind wanders. My eyes get heavy. Then I feel guilty for not being focused. It's a viscous cycle sometimes. Writing down my prayers has helped me a ton. When I journal my prayers, it's like I'm writing a letter to GOD. 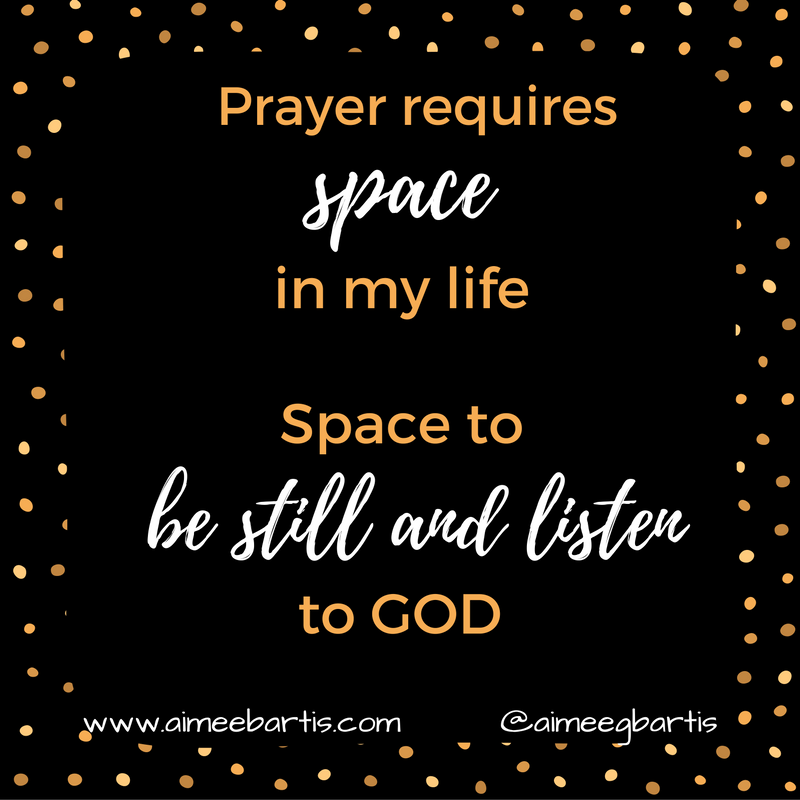 After I'm done writing, I try to just be still and listen for GOD. He doesn't speak to my audibly but He brings things to my mind. I ponder those things. I ask, "LORD, is this from You?" I don't generally make New Year's resolutions. They are too hard to stick to. I like to make short and long term goals. I've shared my goals with you before. I have short term goals for this January. I'm going to run 3 days a week, do yoga 2 days a week, finish a Bible study I started, and finish a book I started. But my long term goal for this year is just one word - SPACE. I want to create space in my life. I want more time to stop, be still and rest so I can know I'm on the right track.